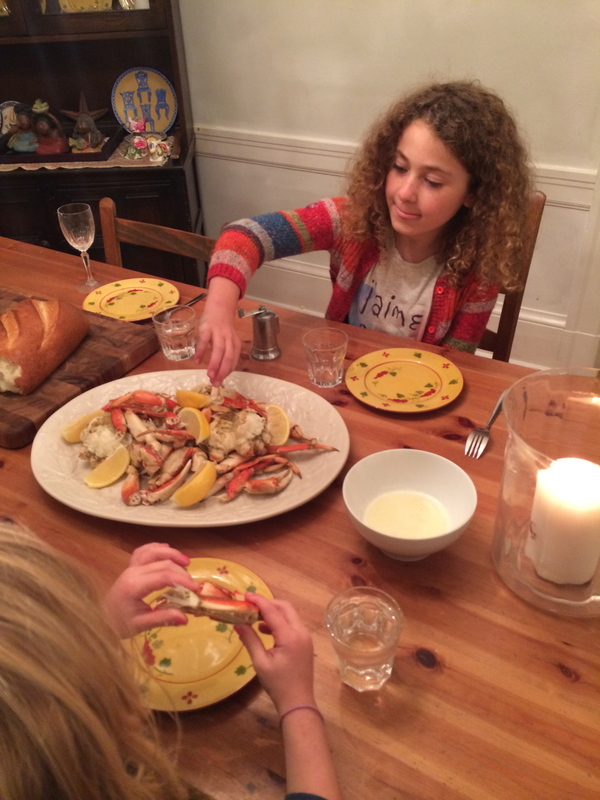 Crabbing in Oregon and cooking them in a big pot when I was 12. 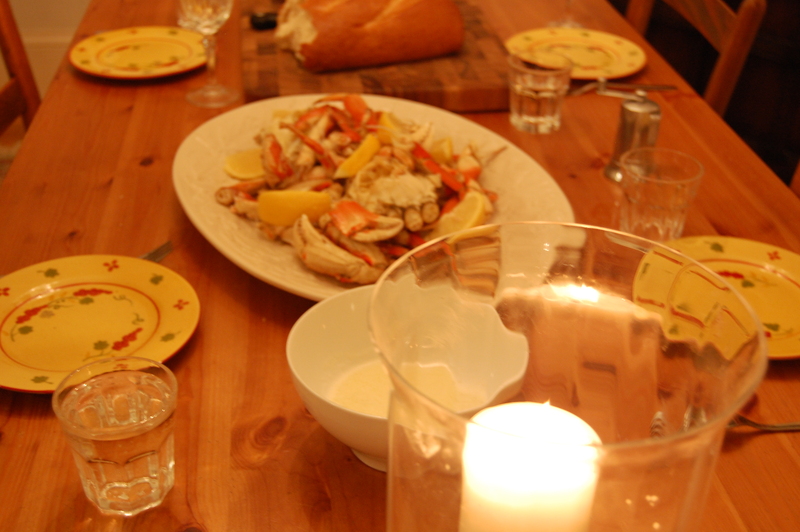 A Dungeness Crab picnic on my first visit to see Steve 15 years ago. Small Blue Crabs on the Chesapeake with my mom, grandparents and our new baby Chloe 9 years ago. A fancy crab dinner with my dad. Christmas crab with Steve’s parents. I pretty much remember every crab dinner I’ve had. There is so much ritual and work that goes into eating crab. There are different methods. Some, like my mom and Steve, crack all the meat out first. Others, like Chloe and I, are not that patient and eat it as we go. 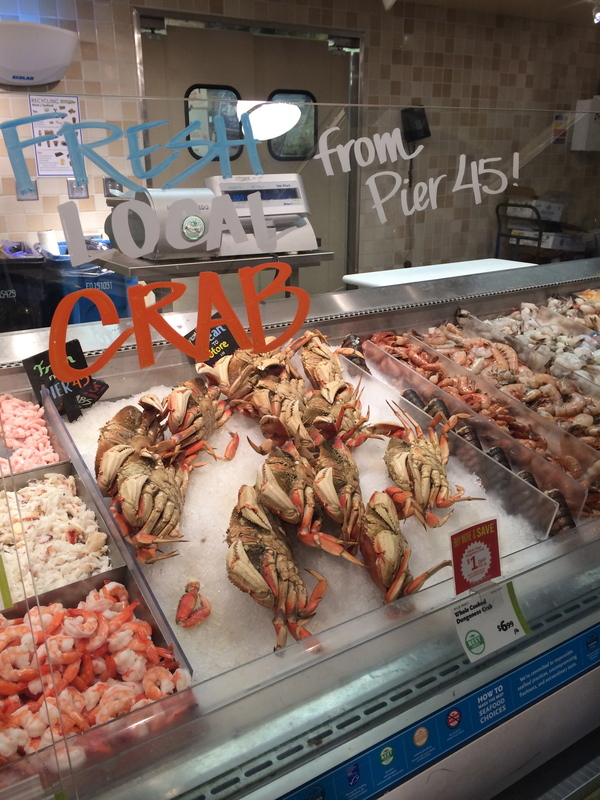 It’s crab season right now in San Francisco and last week we had our yearly crab feast. We all really enjoyed it. Ella didn’t like the crab though. She just dipped her bread in the butter instead. At least Ella tried it! Happy Holidays From the Latch Family! 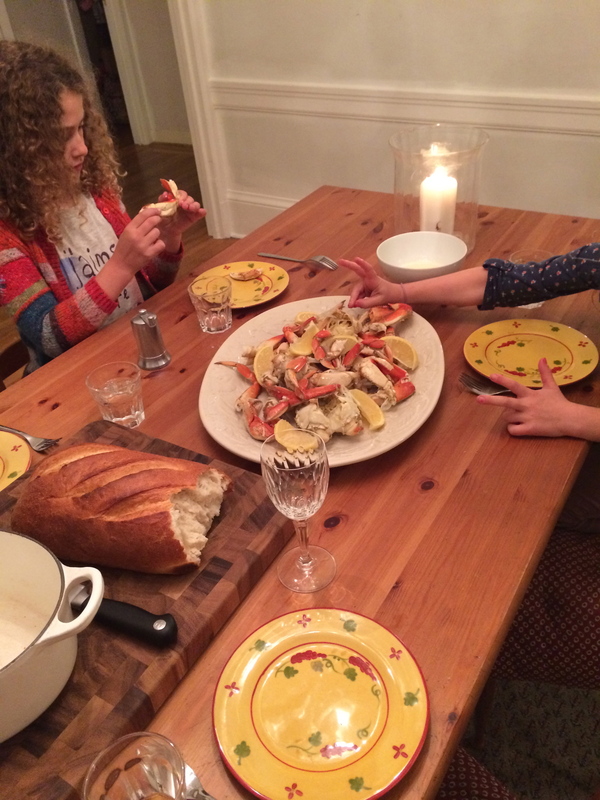 In France, we eat crab, lobster, shrimp with mayonnaise. I LOVE mayonnaise on crab too. Steve prefers butter.